Kamil Rozynek was sentenced to 160 hours community service for causing the death of his girlfriend Kinga Pelc by careless driving on Belfast's Annadale Embankment in May 2015. Belfast Magistrates’ Court heard the exact reasons for the fatal accident on the Annadale Embankment may never be fully established. But Deputy District Judge Joe Rice told Rozynek the victim’s family had suffered “immense and immeasurable” loss. He said: “It’s a tragic case, everybody accepts that. 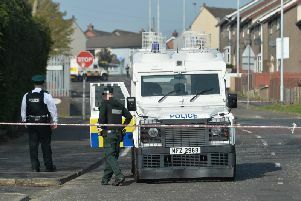 Ms Pelc, a Polish national who had been living in Belfast, had been a front seat passenger in his car. Rozynek was also knocked unconscious, as well as suffering a broken leg and trauma. Engineering experts who examined the scene were unable to provide an explanation for Rozynek’s sudden loss of control. Prosecution counsel Natalie Pinkerton said Rozynek told police he couldn’t recall what had happened in the lead up to the crash. As the victim’s mother listened in court, a defence barrister offered Rozynek’s “genuine, sincere and heartfelt apologies” to her family. Chris Sherrard said: “He’s very conscious of the fact there’s nothing he can do or say to bring back the deceased. Judge Rice agreed that his level of culpability was on the “low side”, but acknowledged the suffering and consequences for Ms Pelc’s family. Rozynek was banned from driving for 18 months.